This Privacy Statement applies to the processing by Park Hotels of your (our guests’) personal data. Park Hotels takes your privacy very seriously and treats all your personal data with great care. Park Hotels acts in accordance with the applicable data protection legislation. When you visit our websites (or subdomains) (the “Website”), make a reservation, contact us, purchase products from us or visit one of our hotels, we collect personal data from and about you. This Privacy Statement describes which personal data is collected and for which purposes this personal data is processed by Park Hotels. It also states which rights you have under applicable data protection law. 2. Europe Hotels Private Collection B.V., a limited liability company registered under the laws of the Netherlands, having its statutory seat in Amsterdam, the Netherlands and its offices at Nieuwezijds Voorburgwal 271, 1012 RL Amsterdam, the Netherlands. Europe Hotels Private Collection B.V. is registered with the Dutch Chamber of Commerce under registration number 34369785. Regardless of which hotel you stay in, your personal data will be stored in (i) centralized systems which are under the control of Europe Hotels Private Collection and accessible for authorized staff of Park Hotels, and (ii) local systems controlled solely by the relevant Park Hotels. We want to get to know you, because that enables us to make your stay more pleasant, so you may one day decide to return to our hotels. We collect, store and process personal data at two different stages: (i) before you decide to stay in one of our hotels and (ii) when you stay or have stayed in one of our hotels. 2. Under several jurisdictions and/or local city regulations we are legally obliged to ask you to provide us with certain information when you arrive at a Park Hotels. This may include information such as: birth date, nationality, place of residence, date of arrival and profession. 3. We will have to verify your identity when you arrive at a Park Hotels. We will use your passport or other identification document. We will not store a copy of your passport, unless to the extent permitted by law. 6. Since we operate internationally, it may be necessary to transfer personal data to a Park Hotels or other recipient (such as franchisees, partners and third party service providers) in a country outside of the country where it was originally collected or outside of your country of residence or nationality. For many of our business purposes we use cloud based services. Therefore, for technical and organizational reasons, it may be necessary that your personal data is transferred to servers located in the US, or to servers located in countries outside of the European Economic Area (‘EEA’). 9. We offer and provide services and products you request from us or which we may think you are interested in, via email, telephone or other media. You can subscribe to our newsletter, which contains commercial offers and news of Park Hotels and related third parties. We use the email address you provide to send the newsletter to. If you no longer wish to receive the newsletter, you can use the link provided in every newsletter to unsubscribe. 12. We collect (meta)data on your use of our Wi-Fi services for security and anti-piracy purposes (such as: IP address, your device’s MAC address, connections made, location, etc.). We do not process the content of traffic. 14. We track information on your purchases for future use in case you return to a Park Hotels. 15. We track and record your use of our, or our affiliates’, (online) services, either through cookies or via other means. Cookies enable us and others to monitor your browsing behavior. Please read our Cookie Statement for further information on cookies. 16. We engage in the advertising and marketing of our brand, company, affiliates, services and/or products both online and offline, possibly via third party service providers. For this, we use your contact details, information on your stay at a Park Hotels and information collected through cookies. 17. We endeavor to provide a high level of security of both the information we store as well as our facilities, (IT) systems and premises, by means of encryption, physical security measures, passwords, company procedures and policies and professional IT support. Personal data may be processed in this context by Park Hotels and its vendors. 18. We endeavor to prevent our services and facilities (hotels) from being used for illegal purposes, of any kind. Personal data may be processed in this context by Park Hotels and its vendors, such as through CCTV surveillance. You have the legal right to object, on grounds relating to your particular personal situation, at any time to processing of your personal data which is based on the legal basis of either point (e) or (f) of section 6(1) of the General Data Protection Regulation (i.e. the performance of a task carried out in the public interest; the purposes of our, or a third party’s, legitimate interests) including profiling based on those provisions [see the Schedule under clause 4 of this Privacy Statement]. We will only cease the processing if so required under section 21(1) of the General Data Protection Regulation. Furthermore, you have the right to object at any time to our processing of your personal data for direct marketing purposes by either (i) opting out by using the option we provide in the relevant direct marketing message (e.g. an email newsletter), or (ii) by sending an email to privacy@ehpc.com. For the sake of clarity: without prejudice to the foregoing we are at all times entitled to send you messages that do not constitute direct marketing. With respect to the processing of your personal data, Park Hotels Operations is the ‘main establishment’ of the Europe Hotels Private Collection. This means that the data protection authority of the Netherlands (Autoriteit Persoonsgegevens) shall have jurisdiction with respect to the cross-border processing of your personal data in which Park Hotels Operations is involved. Notwithstanding the foregoing you shall be entitled to lodge a complaint with the competent supervisory authority in the territory of a Park Hotels. 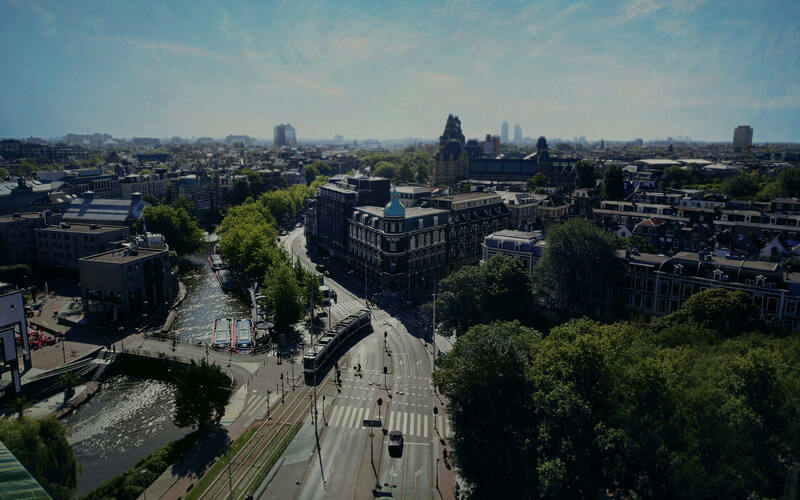 The processing of your personal data by Park Hotels Operations and the relevant Park Hotels Hotel(s) shall be subject to the laws of the Netherlands, including the General Data Protection Regulation, when it applies from 25 May 2018 onwards. The applicability of the laws of the Netherlands and General Data Protection Regulation shall be without prejudice to any provisions that may apply to a particular processing activity under local mandatory data protection law. Last update: 28 May 2018.